How much is Arn Anderson Worth? Arn Anderson Net Worth: Arn Anderson is an American former professional wrestler who has a net worth of $3 million. Martin Anthony Lunde (aka Arn Anderson) was born September 20, 1958 in Rome, Georgia. His career has been highlighted by his alliances with Ric Flair and various members of the wrestling stable, The Four Horsemen in the NWA/WCW. Martin Lunde became Arn Anderson after the legendary tag team wrestler himself (Ole Anderson) noticed a striking resemblance between Lunde and the Anderson family. Ole Anderson coached Martin Lunde and soon replaced son Gene Anderson with 'Arn Anderson'. Arn went on to wrestle under the alliance The Four Horsemen. 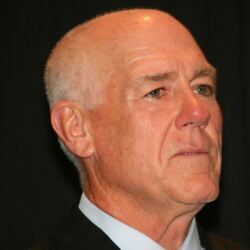 His notable title wins include: 4 Time Southeastern Tag Team Champion; Georgia National Tag Team w/Ole Anderson; NWA World Television Title; NWA World Tag Team w/Tully Tully Blanchard; WWF World Tag Team w/Tully Blanchard; NWA World Television Title; WCW World Television Title; 3 Time WCW World Tag Team Champion. Arn Anderson retired from professional wrestling in August of 1997. Arn Anderson signed with the WWF (later WWE) and took on the short-lived role of an announcer for the WCW Invasion squad. Arn was then assigned to the position of WWF Road Agent. In May 2003, Anderson went into drug & alcohol rehabilitation as required by WWE policies then returned to work as a Road Agent on the RAW crew as of July 2003. He currently serves as the senior producer for WWE's Raw brand. On March 31, 2012, Anderson was inducted into the WWE Hall of Fame as a member of the Four Horsemen.